On Thursday, November 2, Airville Volunteer Fire Company was alerted for a brush fire in the area of Bridgeton Road near Muddy Creek. Upon arrival of Airville units and several East End members, the brush/trash fire was determined to be in Fawn Township and was spreading toward several homes. 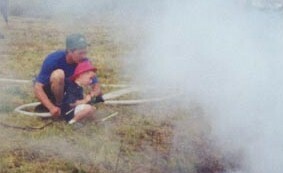 A dark column of smoke was now visible for miles. A full box was struck bringing units from Airville, Fawn Grove, and Delta-Cardiff. The fire consumed several acres and wasn't brought completely under control until nearly 1800 hrs. 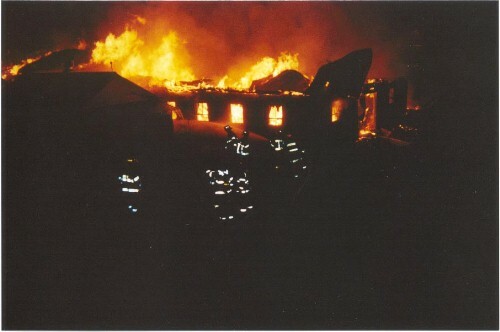 Shortly after 3:00am on Friday, October 27, 2000, Whiteford Volunteer Fire Company (Co. 6) and surrounding departments were alerted for an "Alarm of Fire" on Emory Church Road in Harford County. Fire Communications advised of several calls and the potential for a working fire. Upon arrival, a Chief officer from Whiteford advised he had a fully involved barn fire with exposure problems. A second-alarm was struck bringing additional units. 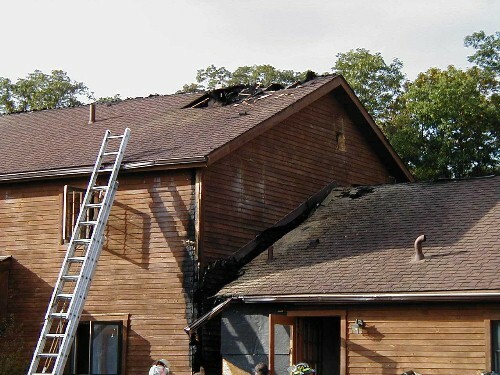 The fire was placed under control at approximately 5:00am and was a total loss. Additional photos: Fully Involved , R.E. & the Tanker. Companies operating: E611, E612, E613, E57-3, E914, SU57-5, E912. *2nd Alarm* E914, E56-4, E1011, E714, E911, WT57, WT55, SU56-1. Members of the Delta-Cardiff Volunteer Fire Company held a Fire Prevention Open House on Saturday, October 21 from 10:00am to 3:00pm. 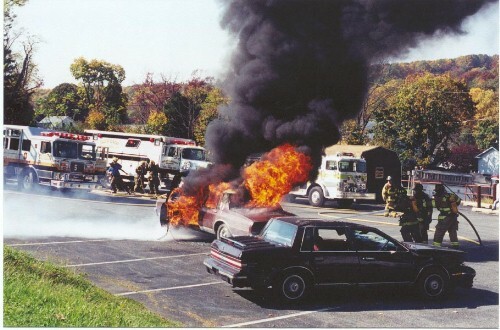 Members participated in a variety of demonstrations including a live auto fire drill for all to see. 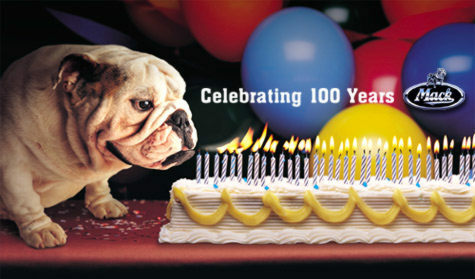 If you haven't already done so, please remember to change your SMOKE DETECTOR BATTERIES! Thanks to all who participated. 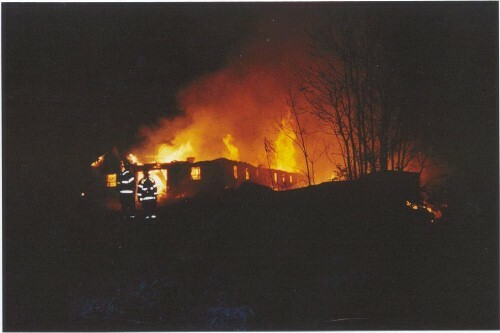 A single-alarm fire destroyed a small building at the Fawn Grove Mill on Monday, October 23, 2000. The alarm was sounded for a building fire at 81 N. Market St. at around 2:45pm, bringing units from Fawn Grove (56), Delta-Cardiff (57), and Harford County Norrisville (10). Chief 56 arrived with a working fire and due to manpower restraints and exposure problems, requested additional engines from Delta-Cardiff and Stewartstown (54). The building housed a large diesel generator used to power augers for the large grain bins. 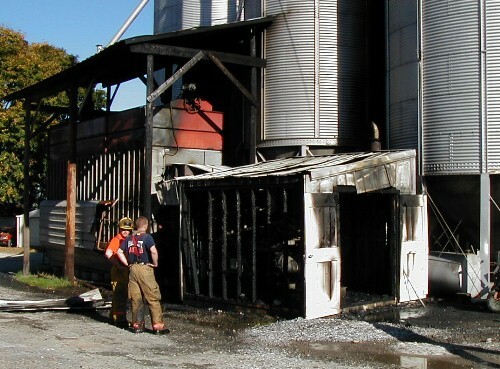 The fire was contained to the building, with some extension to a grain dryer and overhang. Units were out approximately 1 hr on this job. Companies operating: E56-3, E56-4, E56-2, E56-1, E57-3, HC E1011. *Working Fire* E57-2, E54-2, WT54, M56. As many of you know, October 9 - 15 is Fire Prevention Week. Members of the Delta-Cardiff Volunteer Fire Company visited Delta-Peach Bottom Elementary School on October 13 to spread the word about fire safety and prevention. Each grade attended an assembly to learn about things to do in an emergency and how to protect themselves from the dangers of fire. The fire company will be holding an Open House on Saturday, October 21 from 10:00am to 3:00pm at the Fire Station, 500 Main Street, Delta. For more information about fire safety Click Here or visit the Home Fire Safety Page. An arson blaze gutted two stories of a building at a synagogue on Yom Kippur, the holiest day of the Jewish year. 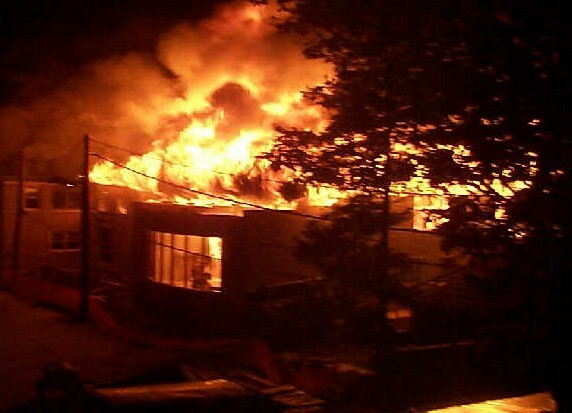 The fire began around 4 a.m. Monday in Temple Ohev Sholom's three-story school building. No one was injured. Firefighters from the Harrisburg Bureau of Fire confined the blaze to the school building and a small sanctuary next door. The complex's main sanctuary was not damaged. Brian Denning, an agent with the Bureau of Alcohol, Tobacco and Firearms, ruled out an accidental fire because the building, which was under construction, had no electrical system and no heat-producing sources. An investigation is on-going. 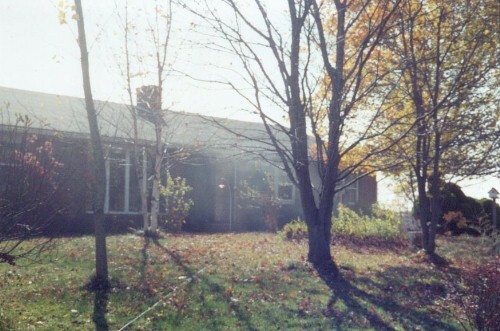 Stewartstown(54)and surrounding companies were alerted for a possible structure fire in the area of Lieb School Road and Anderson Road at approximately 1515 hrs on October 9, 2000. Chief 56 (Fawn Grove) arrived on the scene reporting smoke showing from the 2-story log home. A 2nd alarm was requested shortly thereafter bringing additional companies. The fire was brought under control in about 45 minutes and is believed to have started in the kitchen. Companies operating: 54, 56, 10 (HC), 61, 58, 45, 35. Working Fire , Final Extinguishment. The NIOSH investigation into the deaths of six firefighters at a warehouse fire in Worcester, Mass. Dec. 3, 1999, has been released along with a listing of 12 recommendations that the report states would have minimized the risk to the firefighters had they been in place. 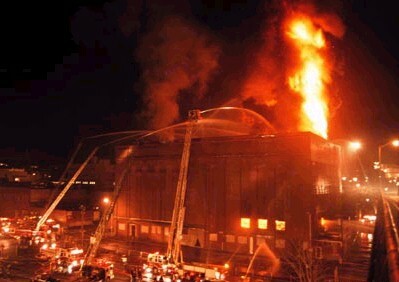 The majority of the recommendations deal with the lack of pre-planning on the Worcester Fire Department's part, for fire incidents such as this one. NIOSH team leader for the investigation, Bichard W. Braddee, said the report was not intended to find anyone at fault or place any blame for the results of the fire. He said they wrote the recommendations based on the facts they found and hope they are used to improve firefighting programs. This report contains lessons that are valuable to ALL DEPARTMENTS nationwide. Has your department addressed these issues? Take a look at NIOSH's report by clicking on the link. 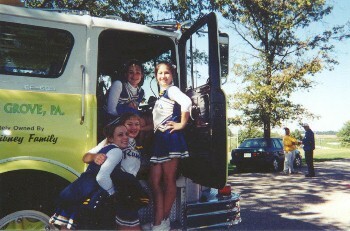 On Saturday, September 30, 2000, Engine 3 participated in the 1st Annual Kennard-Dale High School homecoming parade. The parade began at the Fawn UM Church and progressed to Kennard-Dale High School where the King and Queen were announced at halftime of the football game. 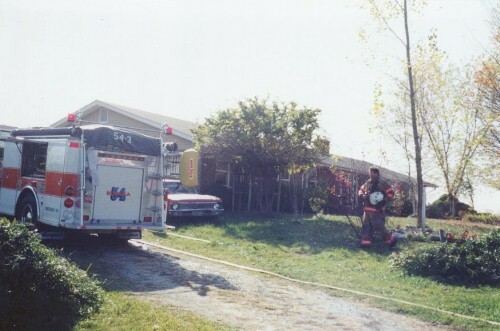 It is of note that Engine 3 (East End) and Engine 341 (Bryansville) looked spectacular. 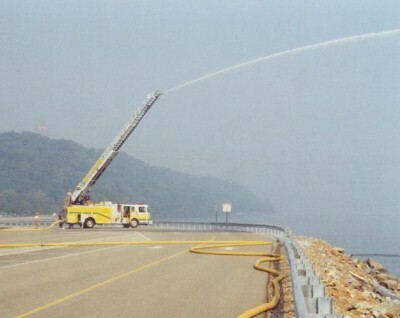 On Sunday, September 10, 2000, units from several area companies gathered at the Peach Bottom Atomic Power Station to train on water supply operations. Two separate operations were held simultaneously. In the first, E56-1 established draft from the Susquehanna River and supplied E611, who in turn supplied the ladder pipe of T1331. 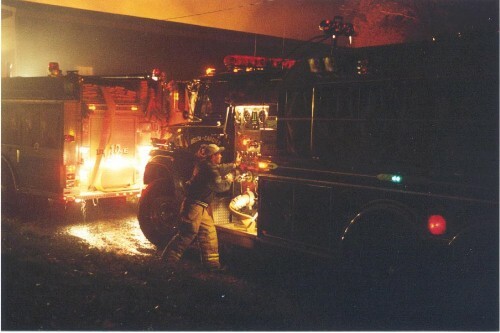 The second evolution had E57-5 establish a fill site to fill tankers in a shuttle operation. E1011 pumped water from 2 folding tanks to E57-2 supplying the handlines. Participating companies included: Delta-Cardiff (57), Fawn Grove(56), and Airville(55) of York County; and Whiteford (6), Norrisville (10), and Fallston (13) of Harford County, Maryland. Thanks to members of the Delta-Cardiff Volunteer Fire Company for organizing such a great training session. 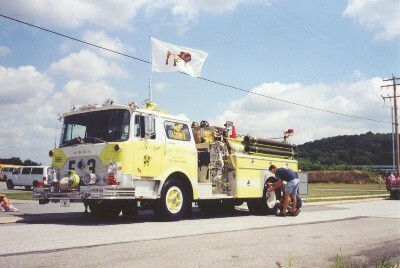 On Saturday, August 19, 2000, the members of East End Volunteers traveled to the 88th York County Firemen's Convention and Parade sponsored by Union Volunteer Fire Company of Manchester(Station 23) and Eagle Fire Company No. 1 of Mount Wolf (Station 22). While we didn't win any prizes, there was plenty of fun to be had by all. After the parade, units gathered at a nearby park to eat some good food and socialize. A special thanks to the York County Firemen's Association, Manchester, and Mt. Wolf for continuing a great tradition. 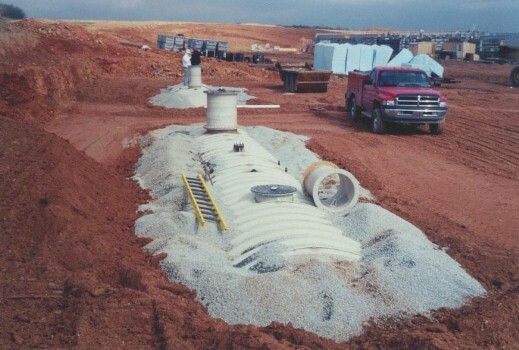 A brand new 30,000 gallon underground water storage tank has been installed at the new Kennard-Dale High School. 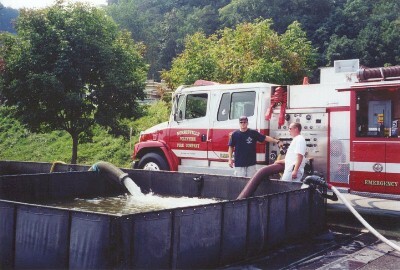 The tank's sole purpose is to provide water for firefighting operations at or near the school campus. In addition to the tank, there are two dry connections piped from the tank. One connection is located adjacent to side 4 of the South Eastern Middle School, the other is located adjacent to side 1 of the new KDHS. 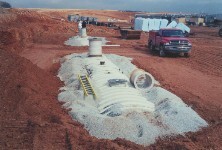 As soon as the correct fittings are procured, the tank will be operational. EAST END GETS HOUSE SIREN! In response to member suggestion, East End Volunteers have purchased a house siren to sound the call for help. The siren was mounted on top of the station to notify members of an emergency. Don't be surprised if you hear the siren going off in the near future! A new fire hydrant has been placed at the station as well. Check out the newest feature on the East End webpage.....The CF Mack Photo Gallery. E-mail your CF Mack photo to the Webmaster below for inclusion in the photo gallery. Also, forward this to anyone you know that has a CF.